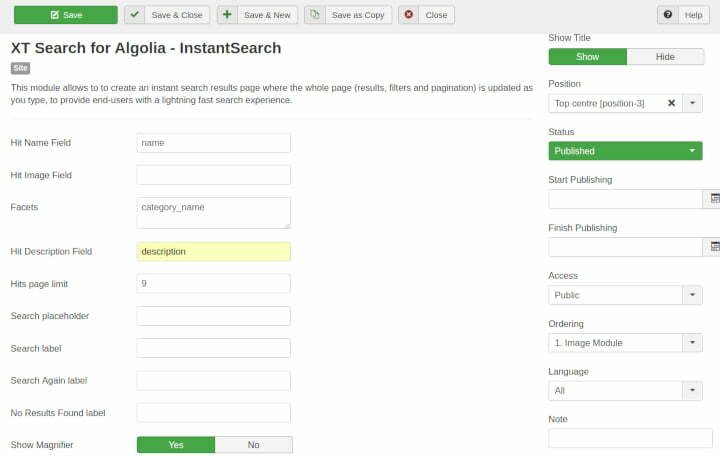 These are the essential steps to configure XT Search for Algolia. Access the general configuration and configure the Download ID in the Live Update tab. You can find your Download ID in your account area, here . 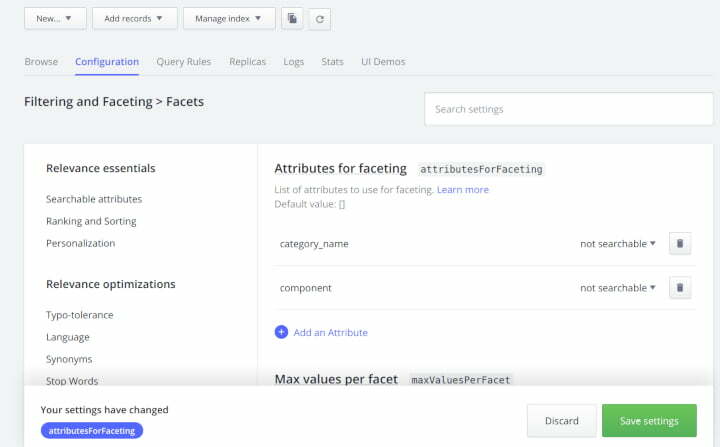 If your site is multilingual, and you want to create separate indexes, then you must enable Multilingual Indexes. After this steps, create the associated indexes: MyIndexName_en-GB, MyIndexName_es-ES, MyIndexName_pt-BR, etc. Click on "2. 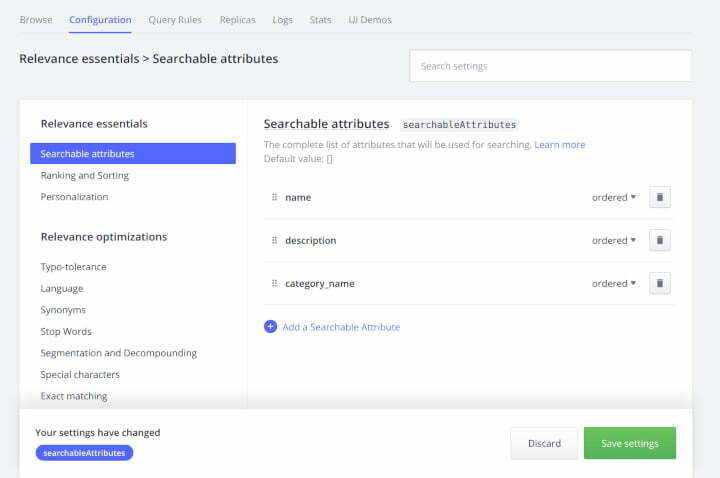 Full Indexing"
Visit the Index records in Algolia Dashboard . This is the simplest configuration. 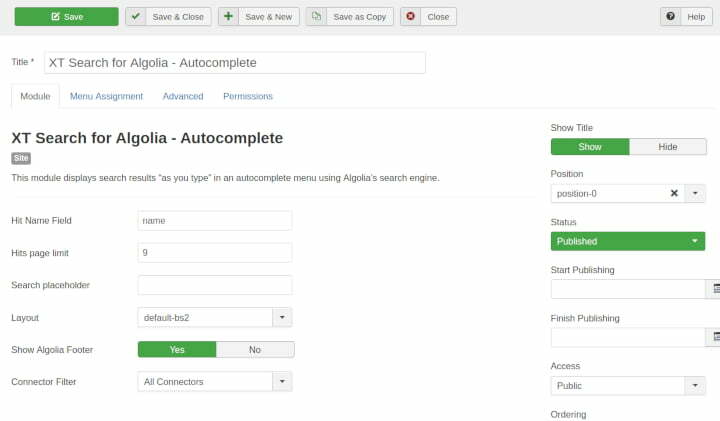 Now, you are ready to configure more connectors, adjust Algolia search parameters or customize the extension.